Today I am sharing with you my nerdy side. I love Harry Potter, rockin' out to old school music and large rim glasses. I have had to wear glasses since I was 6 years old and have gone through many different styles and colors. I mostly wear contacts but also love my GEEK Eyewear black rim glasses and just for fun, added these red GEEK's to my collection. Hi Rosalyn! 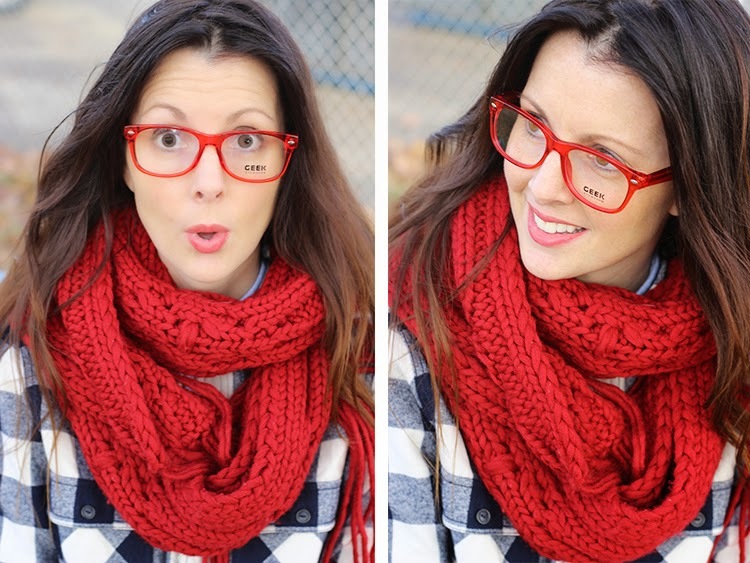 I love how you paired the glasses with the scarf! And the glasses are awesome by the way! Those glasses look great on you! And I love all the pops of red with the buffalo checks! Glad I found you on the Pleated Poppy Link Up Ill be sure to follow!